The training program build in-depth practical experience on embedded systems hardware. With the successful completion of this training, students become capable of developing their own major engineering projects. If the work done by the student in the training is of high potential, we help the student even after training to frame his/her work further to be able to publish a paper in a conference. 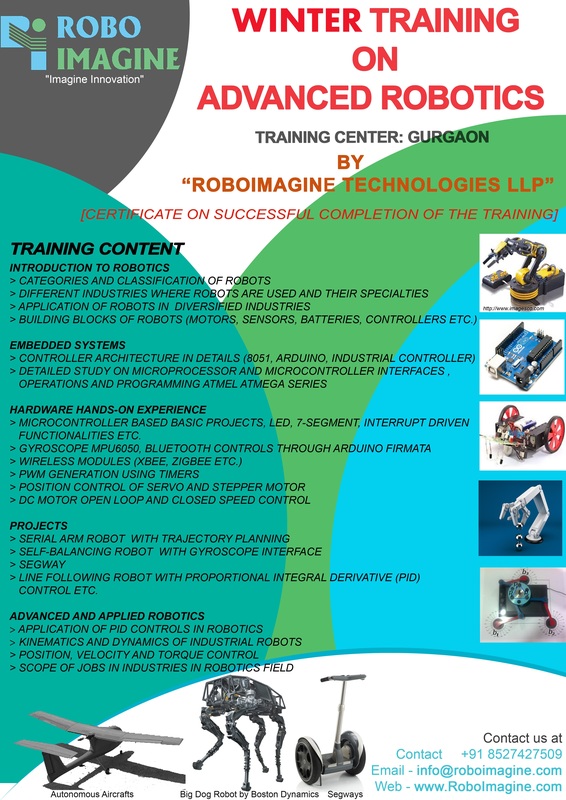 RoboImagine, a Robotics company is starting Winter Training Program on Basics and Advanced Robotics from December, 2015. Read More for detailed training content. Interested students, please Register yourself. Last Date for Registration is 10 December,2015.